For point of purchase display signs, window painting. Can also be used on metals, stone, plastics, vinyl, and glass. 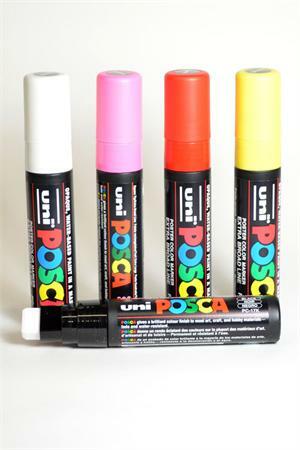 Used by auto dealers for temporary marking of windows. Easily removed with razor blades or mild window cleaners. 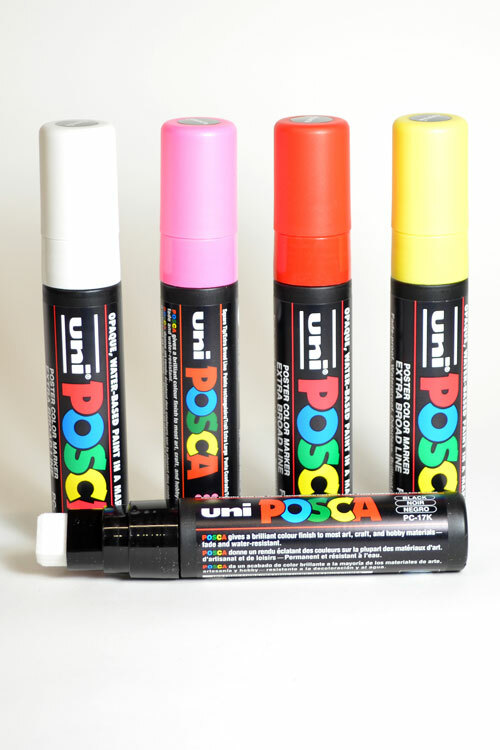 these are great markers bright bold colors and it wipes right off with a rag and some denatured alchahol!! no scrubbing ! !